the beauty in the hard. Happy Thanksgiving friends! Today’s entry is an edited repost of one I wrote back in 2013. While we have gone through so much between then and now, every word still rings true. So, regardless of your own season of wait or hardship, I pray that today you can soak in the highlights, the blessings, and the beautiful parts of the pain. Crazy, I know, but read on to see what I’m talking about … (then get offline and go enjoy your Thanksgiving, hehe!). Happy Thanksgiving to my friends in the USA and Happy Thursday to my friends around the world. : ) There is something so fun about today. I love gratitude and having a whole day where the entire country is focused on it is pretty neat. Some favorite holiday traditions of mine include watching the Macy’s day parade, listening my husband riffle through the Black Friday newspaper and sharing every good deal in it with me (“No, really though, isn’t that a great deal? I wish we needed a scooter.”), and of course, all the food to be feasted on. And of course, the relaxing time with the family, creating new memories and enjoying laughter is great too. But one thing I wanted to share with you all today is this simple fact: I am thankful for my infertility. No that wasn’t a typo. This Thanksgiving I’ve decided to forgo the traditional gratitude list (all of which are valid and are things I really am thankful for) and instead, share with you this reality. I am thankful for my infertility. Dealing with infertility has taught me so many things and given me so much. It has been difficult. There has been tremendous heartache. Many tears. Physical suffering and emotional agony. Moments of desperation and periods of heavy sadness and grief. Yet I wouldn’t trade this journey in for anything. Infertility has taught me to learn how to choose joy in tough situations. It has changed my heart to be one that sees the glass as half full instead of half empty. It has made my “joy muscles” work out and as a result, there are days I feel like I could bench press a truck. And admittedly, days I ignore the joy gym, but at least I still feel convicted about it. It has reminded me that we are to give thanks in EVERY situation, not just the ones that make us feel warm and fuzzy. Infertility has strengthened my marriage. I truly can’t imagine walking down this path with anyone other than Josh. It has brought us to our knees in prayer, together as a unit. It has made us realize what God meant when He said we will cleave to our spouse. It has made me appreciate his optimism and positivity more than ever. It has given us reasons to laugh together, cry together, and learn to love deeply and unconditionally. It has made us depend on one another in unique ways and Josh’s example has taught me what it is like to have a servants heart. Infertility has brought me closer to friends, family and strangers. It has caused me to seek support from unlikely places and communicate in ways I hadn’t imagined. Because of it, my heart has swelled and overflowed due to the incredible kindness of others. I have made new friends thanks to Instagram and this blog – friendships that I don’t doubt will last a lifetime. It has made me more vulnerable with my family and friends – people I see in real life, that have been given an insiders pass to my heart and emotions. It has resulted in beautiful conversations, meaningful prayers prayed, and many tears and hugs given. Infertility has helped me to look past my own situation and into the lives of others. It has made me more aware that everyone is suffering from a Thing. It has helped me to assume the best about people’s dispositions and taught me to extend grace since I have no idea what path others are walking on. It has sharpened my spiritual gift of encouragement and made me fine tune reading people’s hearts and needs, and prayerfully, helping to say the right words at the right times. Infertility has made me stronger than I ever imagined possible. It has forced me to deal with difficult tasks – whether it’s giving myself shots or learning patience during a two week wait. It has given me reasons to be sad, cry and learn how to lean on a strength that’s not my own. It has made me pick myself up off the ground, brush the dirt off my shoulders, and keep walking forward. It has taught me the fine art of persistence. 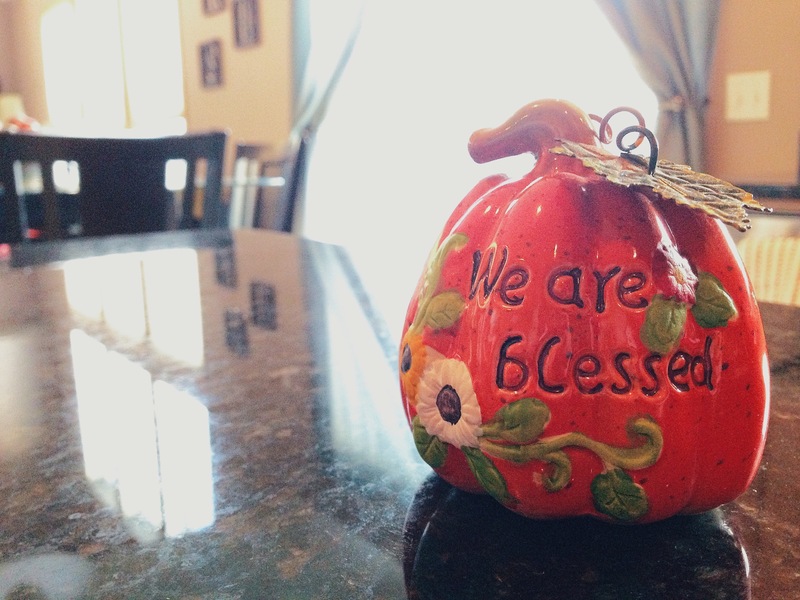 It has reminded me that we are to “ask, seek, and knock.” (Matthew 7:7-8). It has taught me to keep knocking and to trust that the door will be opened. Infertility has taught me that God will equip me where He calls me. Never did I ever imagine having a blog. Never did I imagine writing routinely. Never did I imagine sharing our small story with all of you. Yet each time I sit down, He fills my heart with words and allows my fingers to type in a way that, thankfully, many of you understand. I am not a writer – yet somehow, I write. Infertility will make me a more graceful pregnant woman and hopefully, a better mother. It will allow me to experience pregnancy (God willing) with a spirit of thanksgiving, knowing what a wonderful gift I will be given. (Or at least teach me to know my audience on tough days.) It will allow me to embrace the challenges, remembering how strongly I desired them. It has allowed me to pray for my children and their lives many years in advance. I don’t think I would have been a lucrative mother, but it sure has given me time to prepare my heart as much as possible for what may be ahead. Infertility has made me enjoy this season of my life. The quiet. The calm. The ability to walk out of the door and run to Target when I want. The ability to have spontaneous date nights with Josh and the ability to go to bed at 8:30 if we so choose. I appreciate sleeping in, taking long baths and watching shows other than Nick Jr. I can’t wait for the time to come when all of that changes, but for this time, right now, I am grateful for what I can experience. Infertility has taught me that life doesn’t always have to make sense for us to be content. It has helped me realize that if God answered every prayer we all prayed, we would be living in heaven. It has helped me remember that we live in a fallen world, with human bodies that are less than perfect. We are in a world of sadness and death, with more and more dysfunction every day. It certainly isn’t ideal but I serve a Lord that “causes everything to work together for the good of those who love God…” (Romans 8:28). Infertility has made me realize that I don’t always need to come up with the right words to pray in order for Him to be near. “Meanwhile, the moment we get tired in the waiting, God’s Spirit is right alongside helping us along. If we don’t know how or what to pray, it doesn’t matter. He does our praying in and for us, making prayer out of our wordless sighs, our aching groans. He knows us far better than we know ourselves…” (Romans 8:26-27a MSG) It has taught me a greater appreciation for His Spirit. And lastly, and most importantly, infertility has caused me to fall deeper in love with my Father. It has caused me to seek Him with all of my heart. It has made me turn to Him for comfort and it has made me realize that nothing on this earth is more valuable than my relationship with Him. God, in return, has drawn intimately close to me and His daily presence in every moment of my life brings utter joy to the surface. It has taught me that denying myself and following Him (Luke 9:23) is to trust in His plan and walk with Him regardless of my own desires. It has made me dive deeper into His love letter to us, made me seek Him through podcasts and music, and transformed a stagnant prayer life into a daily conversation with Him. Infertility has taught me that my eternal Hope has already overcome it all. That this world, these moments, this life, is brief compared to what is ahead. When I started this blog in 2012 and was asked the gigantic task of creating a web address for the page, I chose “trials bring joy”. It stemmed from James 1:2-4 which says: “Dear brothers and sisters, when troubles come your way, consider it an opportunity for great joy. For you know that when your faith is tested, your endurance has a chance to grow.” Oh Lord, I am finally getting it. It took a while – but reflecting on this trial placed in front of me, and all the lessons learned from it, I can’t help but understand the phrase “trials bring joy” even more so now. It ispossible for our most difficult times in life to be an opportunity to bring great joy. I wouldn’t wish infertility on anyone. But I do wish that everyone had the opportunity to go through a challenge, a trial, a journey, which results in building endurance. For when we go through fiery times in life, like silver being melted and transformed, we WILL come out more refined and polished. And for that I am thankful. I am thankful for this time of fire. I am thankful for a God who never leaves my side. I am thankful for YOU – for caring as deeply as you do. For the prayers of many and for the joy that is to come. I am FAR from perfect. I have good days and bad days. But what I have learned thus far has made an everlasting impact on my life. So on that note, we wish you a wonderful Thanksgiving (and/or Thursday). Enjoy the day! Happy Wednesday friends! Time for a fun little post on some of the things that I am loving this month. (Think Friday Favorites but toned down a bit!) It’ll be fun to check in each month and share my top 5’s with you! So, let’s kick off Novembers without delay! Now don’t get all crazy on me here and start shouting out things about Thanksgiving being first and ‘tsking’ me for loving to watch predictable, G-rated sappy movies. I can fully embrace both seasons for all they are worth with equal love. :) That being said, here is the link for all of the new Hallmark movies playing in the next 6ish weeks! Spend a few minutes with your DVR and record these corny gems! My sister has been telling me about the book Mended by Angie Smith for ages and last weekend, she surprised me with a copy! I am in the middle of reading it and LOVING it so far. One line that has stuck out with me the last week is “God has a way of redefining our expectations.” It’s been thought provoking to flush out what expectations I have had for my life and how He has redefined them – and even more so, the good that has come from it. Looking for a little idea of what the book is about? Here you go! My two favorite things are the coffee sleeve (the heart is gold and sparkly! Drool!) and the earrings. They are just the perfect amount of bling! Every time I wear them, I get compliments. I am so pumped to try the tea, which I haven’t yet, but it smells amazing! I love how TTC Crates incorporates practical things like ovulation tests with fun things like tea and jewelry. If you are interested in sending or receiving your own TTC Crate, check out their website. They offer a variety of sizes (mini, regular and deluxe) and this month only while boxes are in stock, use “trialsbringjoy” at checkout and get 10% off! I know their November crates are almost sold out, so don’t delay! This song gets me every. single. time. God’s grace has been heavy in my mind and heart lately. I absolutely love closing my eyes and feeling His love wash over me. Check it out – I am including the acoustic version below because, well, acoustic music is my jam. Crank it, worship to it, and let His love wash over you too. ‘Tis the season! But seriously, gratitude lists are one of my favorite things ever. If you don’t have a notebook or journal you keep, check out this free printable download from Day Designer. I printed out a handful of them and keep them on a cute clipboard (Target $1 Spot!) in my kitchen. It only takes a brief minute each day to reflect on the beautiful, good blessings in your life. Stop what you are doing and go grab it! Oh, and because we still need funnies, here are a few of the ones that got me this month! And lastly, to our veterans (and their sacrificial families), thank you. Thank you for your courage to stand for our freedom and for bravely believing this country is worth fighting for. I admire you so much and my gratitude can’t be put into words. 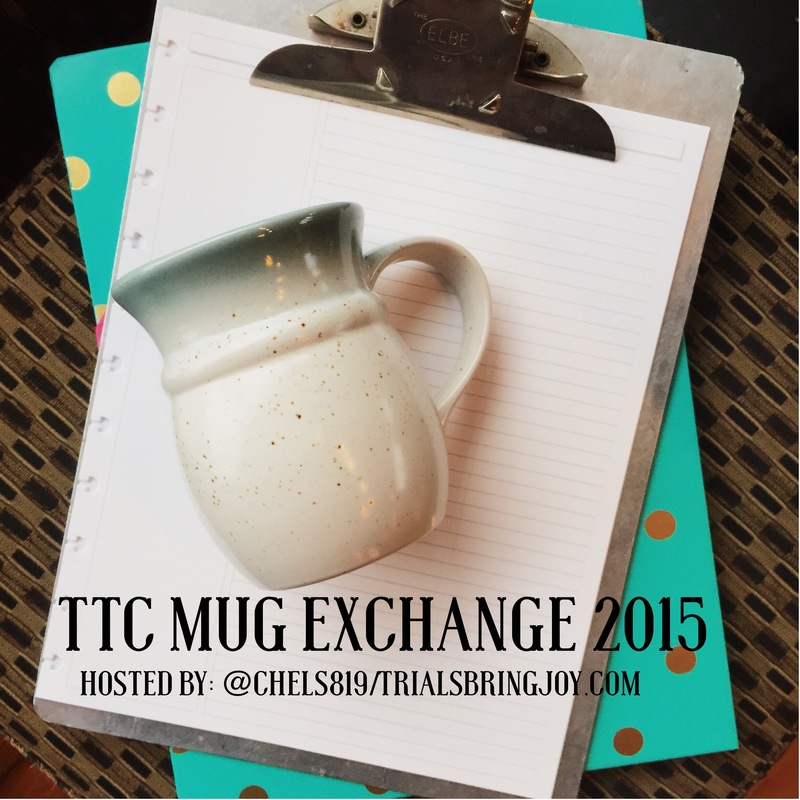 Looking for the TTC Mug Exchange Sign-Up? Click here to submit your information by November 15th!